With all the recent attention on "Star Wars: The Force Awakens" and other big films opening for the holidays, some previews are popping up for new Olympic-themed features set to open in 2016. 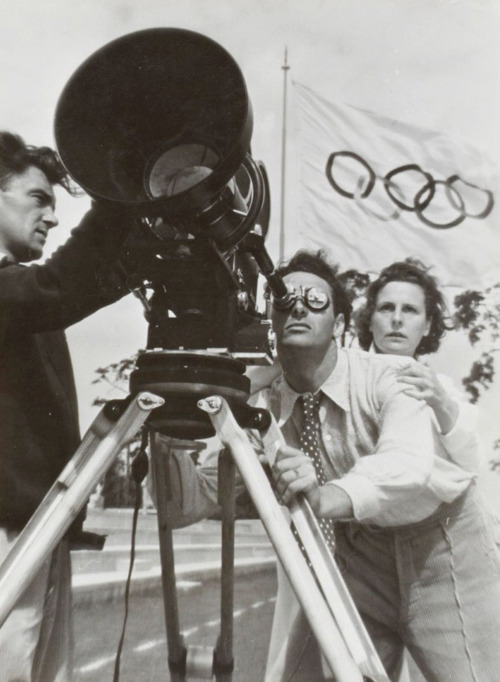 Not since Leni Riefenstahl assigned her crews 80 years ago have there been so many filmmakers with an eye and lens on Olympic action. Description: Tailored to the masses fresh look at Jesse Owens and his journey from rural Alabama to the world's stage at the Berlin Olympics. 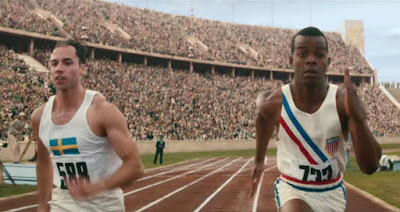 Title is a double (or perhaps triple) entendre about Owens' running prowess, the color of his skin and (hinted by the previews) a "race against time" for the track star to decide whether to compete for Team USA in spite of obvious discrimination in its ranks and Germany's emerging Aryan aspirations. Curious facts: According to IMDB, the title role originally went to John Boyega, who backed out to appear in "Star Wars: The Force Awakens." Jeremy Irons will play the role of U.S. Olympic chief Avery Brundage, an official likely to appear in two of the upcoming Olympic documentaries listed later in this post. Olympic Rings And Other Things prediction: Film will entertain with a new, crowd-pleasing spin on Owens' feats while disappointing the fact checkers who call to question the fictionalized bio for the sake of tension/drama (sort of like in the film version of "Unbroken"). Description: Comedy about a twentysomething Olympic bronze medal gymnast "putting the nasty in gymnastics" whose star is falling while a younger athlete's profile is on the rise in the same small Ohio town they call home. Curious Facts: Gary Cole is often quoted for the TPS Report-loving manager he portrayed in "Office Space." Since the 1984 Los Angeles Olympics, several Team USA women's gymnastics Olympians took home bronze medals, including: Mary Lou Retton (1984 uneven bars, floor exercise), Kathy Johnson (1984 balance beam), Phoebe Mills (1988 balance beam), Shannon Miller (1992 uneven bars,), Amy Chow (1996 uneven bars), Dominique Dawes (1996 floor exercise), Courtney Kupets (2004 uneven bars), Nastia Liukin (2008 floor exercise) and Alexandra Raisman (2012 balance beam). In 1948, Team USA earned a bronze in the "team combined" women's gymnastics events in 1948 London, 1992 Barcelona and 2000 Sydney. Olympic Rings And Other Things prediction: Future cult classic and solid scores for F-bomb vaulting. Description: Highly fictionalized version of events leading to the world famous British ski jumper's Olympic debut at the 1988 Calgary Winter Olympics. Curious Facts: In a BBC interview, the athlete on which the film is based said, "I've been warned only 10 to 15 percent of it is based on my life." Olympic Rings And Other Things prediction: Future boxed set with the other Calgary Games comedy "Cool Runnings." Title: "Munich 72 And Beyond"
Description: According to the official site, the film will, "... capture the story of the Munich Memorial, and create an unflinching, elegant and timely examination of contemporary remembrance. The film will revisit Munich's history and bring it to a contemporary moment through intimate interviews and access to those involved. The film will also follow the construction of the Memorial ... with blueprints and renowned architects as guides. Curious facts: The New York Times wrote up new revelations to be discussed in the film, and Around The Rings aired a podcast interview about the project. The 40th anniversary of the Munich Olympic attack is covered here. Olympic Rings And Other Things prediction: Surviving family member inch closer to closure while the Oscar-winning "One Day In September" (documentary which covers the same topic) proves tough to beat. Title: "Olympic Pride, American Prejudice"
Description: Documentary exploring the 18 black American athletes (including Jesse Owens) and the discrimination they faced at home before, during and after they competed in the 1936 Berlin Olympics. Curious facts: Draper, who is based in Atlanta, previously created the documentary "Versailles '73: American Runway Revolution." Olympic Rings And Other Things prediction: Audiences will be treated to an accurate and detailed look at what Team USA's black athletes endured in spite of their accomplishments. Description: "Weaving between Russia, Saudi Arabia and South America ... a dark yet truly empowering story that follows young people testing their strength and endurance, as athletes and as people, while the attempt to achieve their dreams." 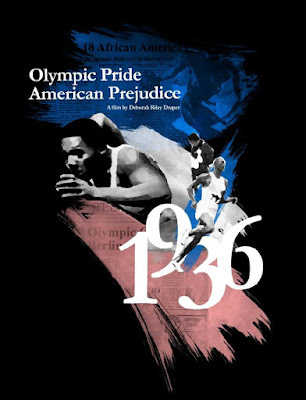 Curious facts: Like "Olympic Pride, American Prejudice" this film was funded in-part through a public campaign via Seed & Spark. Olympic Rings And Other Things prediction: Effective international version of "Race" portraying athletes overcoming oppression, poverty and intolerance due to ethnicity, gender and sexual orientation. 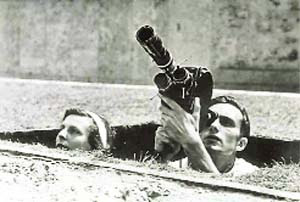 Images courtesy of the respective film production companies or distributors listed in this post.